Google Pixel 3 XL vs. Google Pixel 2 XL: Should you upgrade? There's no shortage of great Android phones out there, and Google makes some of the best available. We test each and every one to see just how they compare year-over-year, and against the latest competition, so we can give you the best recommendations on which to buy and when to upgrade. Google refreshed its hardware and jumped to a 6.3-inch, 18.5:9 display — but it's not all about size, the display is dramatically better as well. The rest of the phone builds on all of Google's strengths: simple hardware, capable specs, smooth software, and an amazing camera experience front and back. It also added wireless charging and kept stereo speakers. This was Google's top device a year ago, and that means for the most part it still feels modern today. The specs, hardware, and software are all up to speed and the camera is still fantastic. But its screen was bad then and looks even worse now. The Pixel 3 XL isn't a massive upgrade from the Pixel 2 XL, but there are a few changes that could make it worth it if you're particularly upset with a few aspects of the phone. 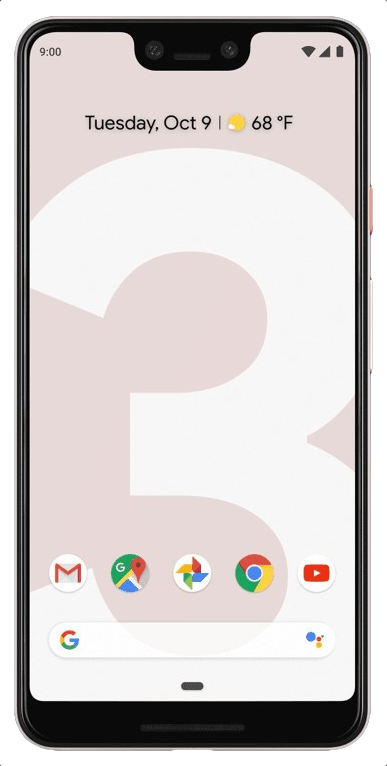 Is the Google Pixel 3 XL a worthy upgrade from the Pixel 2 XL? This comparison effectively hinges on two points: how much do you dislike the Pixel 2 XL's display, and how big of a deal is it to spend $900 on a phone? Google went to great lengths to make sure the Pixel 3 XL's screen didn't repeat any of the problems of the Pixel 2 XL — and if you have the Pixel 2 XL, you know exactly what I'm talking about. It's dim, lacking that "punch" of color so many other phones have, and has proven to be more susceptible to burn-in and image retention than the competition. The Pixel 3 XL addresses all of these points: it's brighter, more accurate, more colorful, and generally exhibits all of the qualities you expect for a phone of this price. If you're underwhelmed by your Pixel 2 XL's screen, the Pixel 3 XL may be appealing just from that point alone. The screen upgrade is so important because elsewhere, the Pixel 3 XL isn't necessarily a huge upgrade from the 2 XL. There's a new processor inside, but the rest of the specs remain unchanged. The external hardware didn't change in size or shape, which is a good thing in most people's eyes, but the new glass back does offer a better feel and wireless charging capabilities. The display is unequivocally better, and there are a few hardware upgrades — is that worth $900? If the display upgrade alone wasn't enough to change your mind, perhaps you'll be interested in the new camera features. The front-facing camera has been upgraded with auto focus and a new sensor, and it's now assisted by a secondary wide-angle camera for better portrait mode and group selfie shots. The rear camera takes fundamentally better photos, and better leverages the Pixel Visual Core — but chances are that many of its new features can actually make their way back to the Pixel 2 XL (in due time). The Pixel 3 XL takes great photos, but the Pixel 2 XL is no slouch — it spent a year at the top of the charts in image quality. So let's bring this all back together and talk about price: the Pixel 3 XL costs $899. If that seems like a lot of money to you, and you own a Pixel 2 XL already, this upgrade probably doesn't make a whole lot of sense. The screen is unequivocally better, the camera experience is an upgrade, and a couple of extra hardware features are nice — and in the end, you don't lose anything. But are those relatively small changes worth scrapping your phone and paying another $899 for a Pixel 3 XL? Still a modern and capable phone. The Pixel 2 XL has been updated to Android 9 Pie and is still a modern phone in so many respects. If it weren't for the poor display quality, it'd be easier to enjoy the performance, software, and quality camera — but on the whole, it's still a good phone if you find it at a discount.